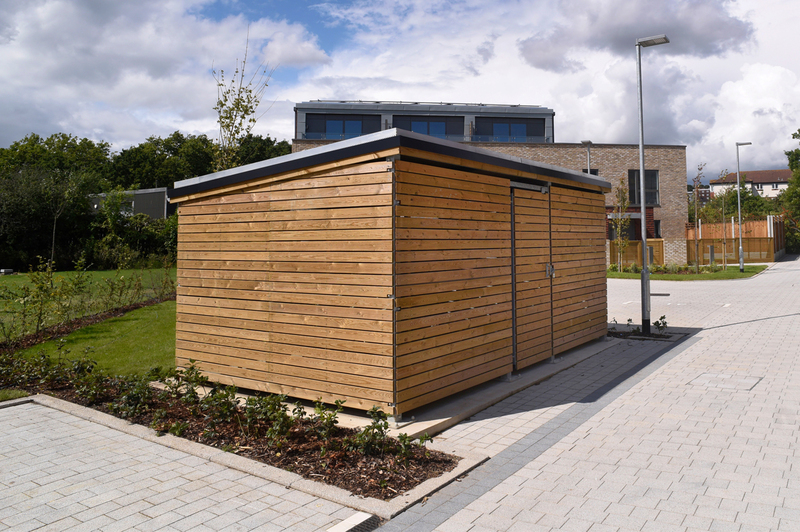 Gladstone Village is part of the multi-million pound re-generation programme for Cricklewood in London, offering affordable family houses and apartments within easy reach of the capital. 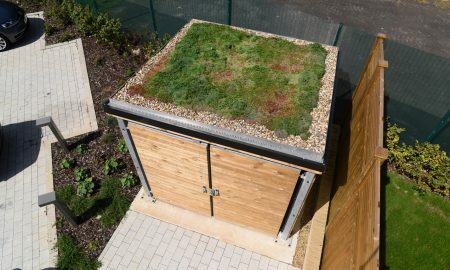 Working with Hill Partnerships Ltd (https://www.hill.co.uk/) the award winning House Builder, Broxap were asked to supply a series of cycle shelters that would suit the aesthetic look of the surrounding apartments/homes whilst also adding an environmentally ‘green’ aspect via sedum roofs; designed to offer a more greener view from the apartment windows whilst also serving to capture rain water and absorb (the sedum plants absorbing the rainwater and using it to flourish) it rather than shedding it at ground level and ‘overloading’ concrete areas and grids/sewers with excessive water. 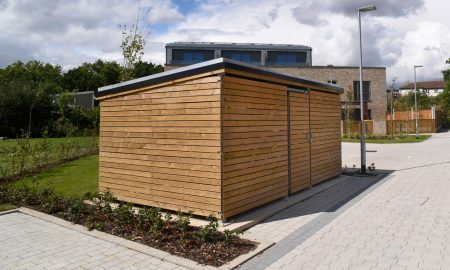 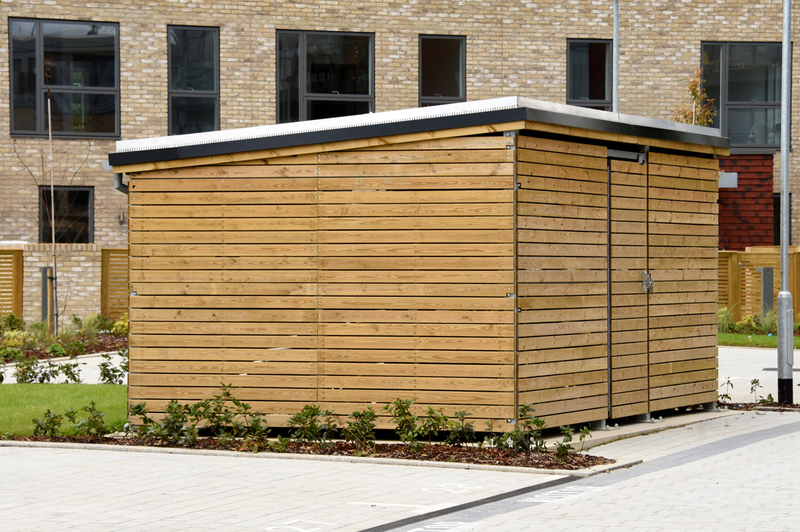 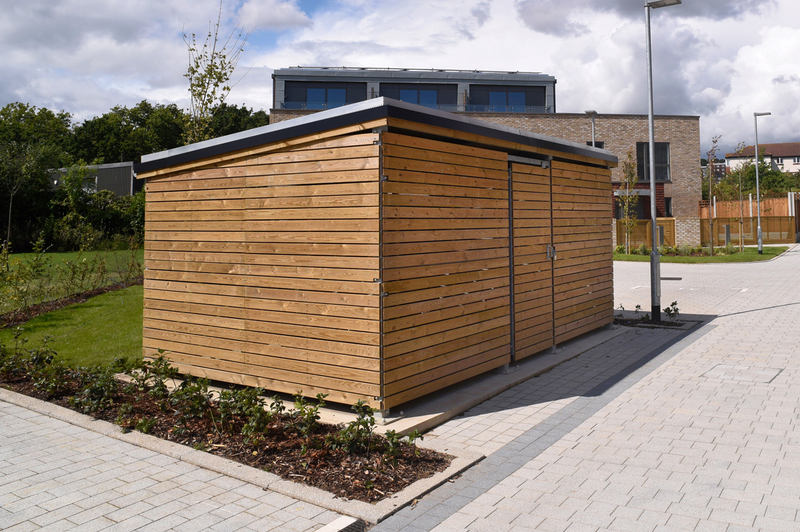 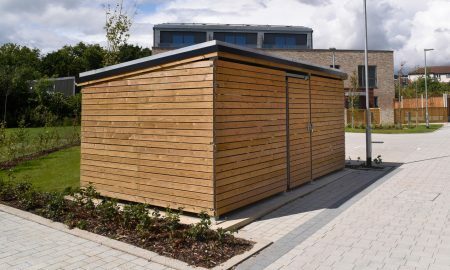 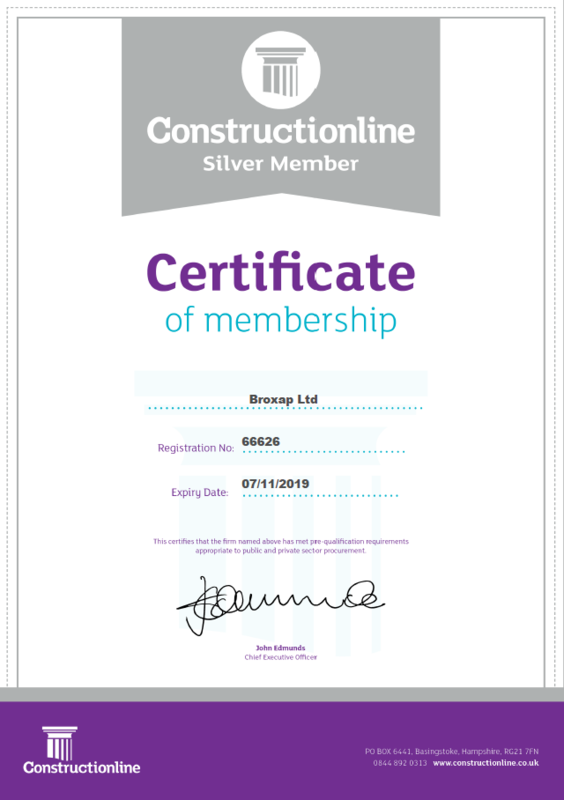 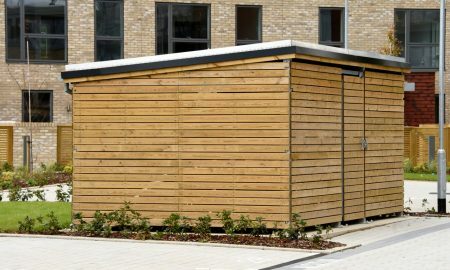 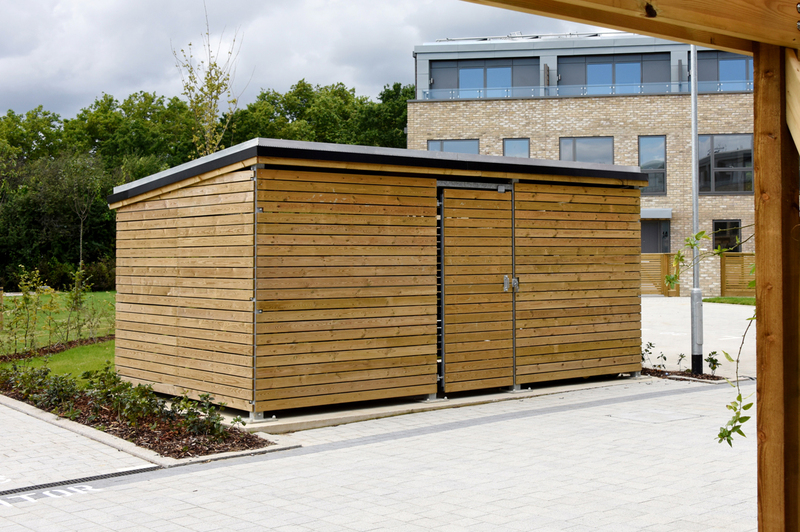 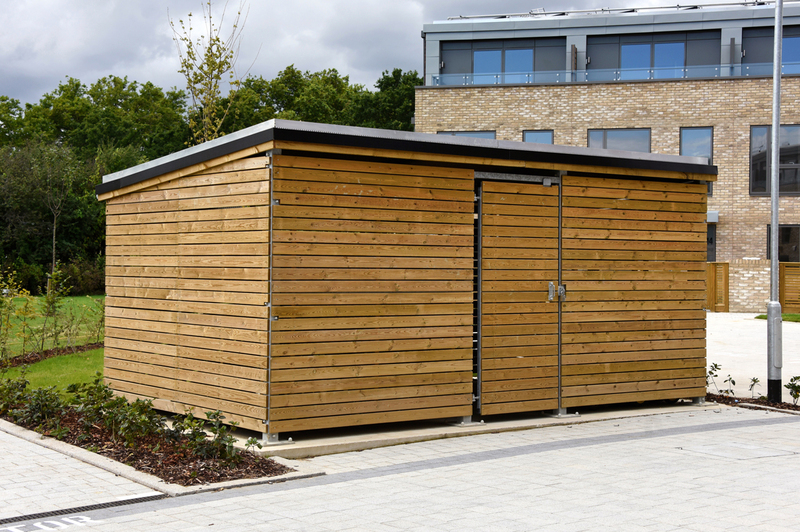 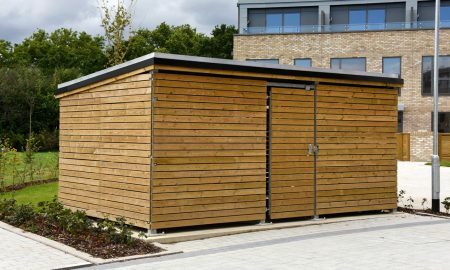 Broxap recommended their Blox Cycle Shelter which has an FSC Certified timber clad exterior and can be supplied in various sizes and configurations to suit the required areas and numbers of cycles that needed storing. 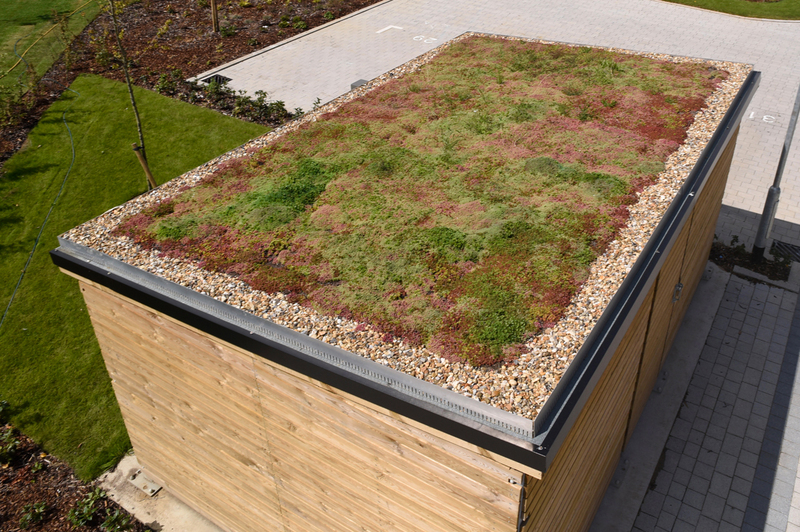 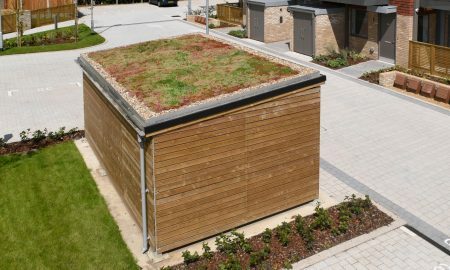 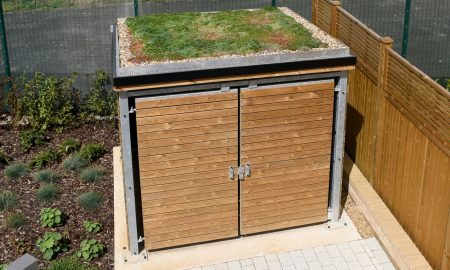 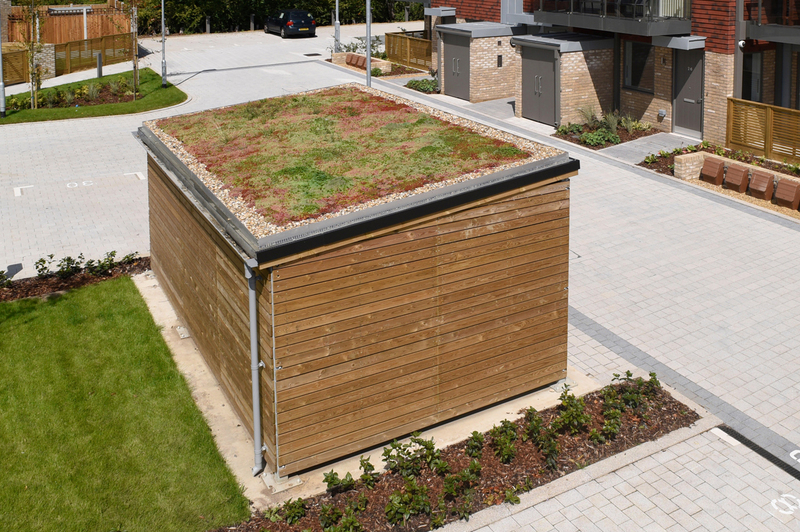 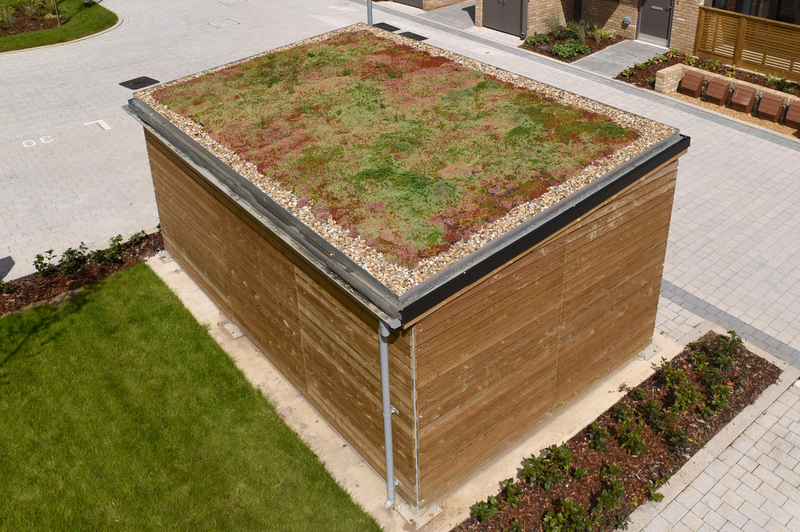 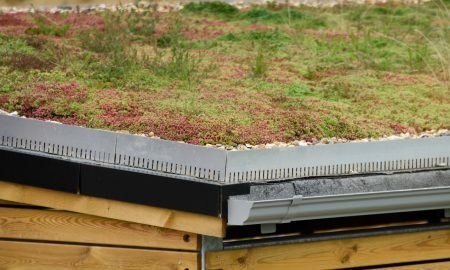 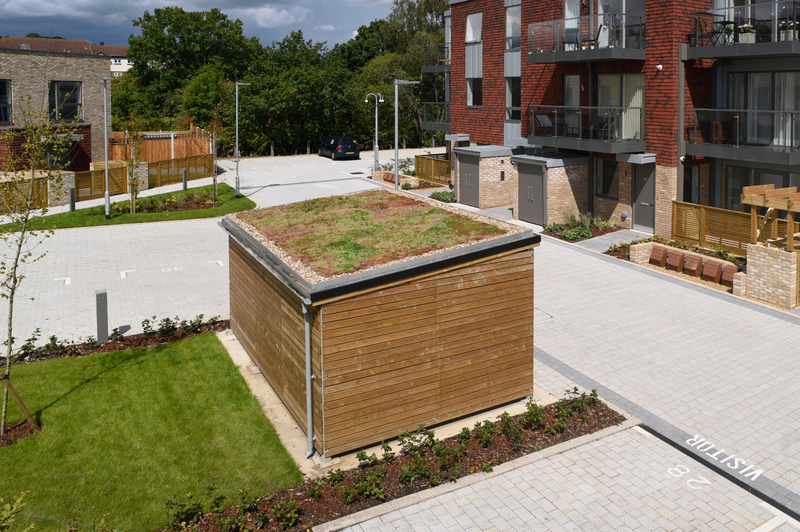 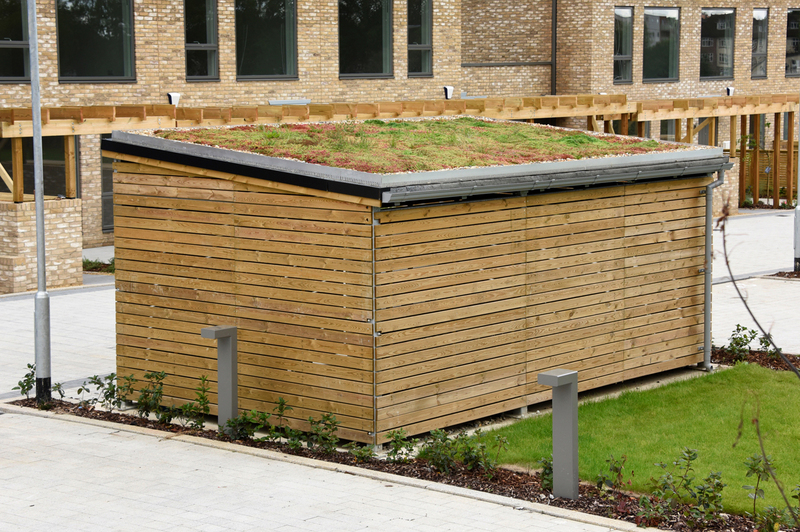 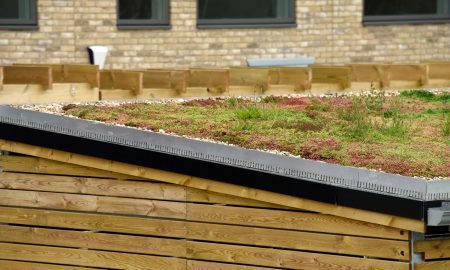 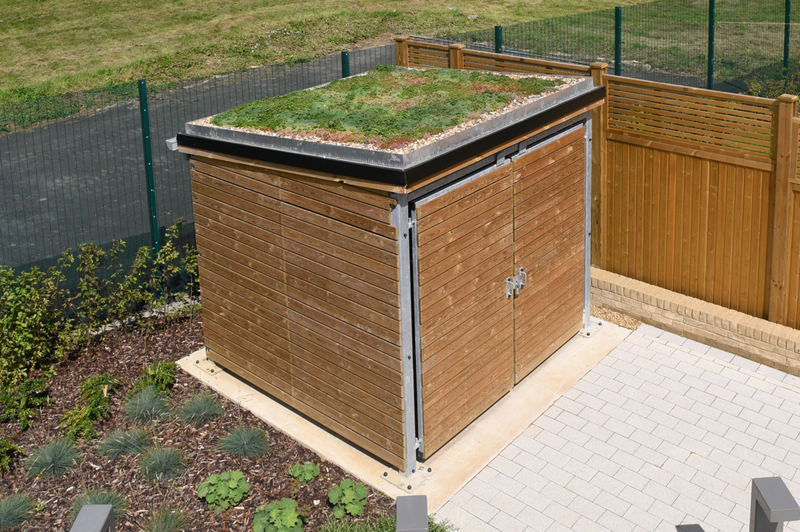 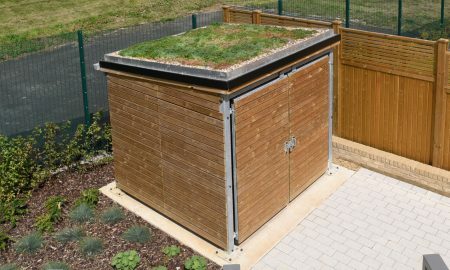 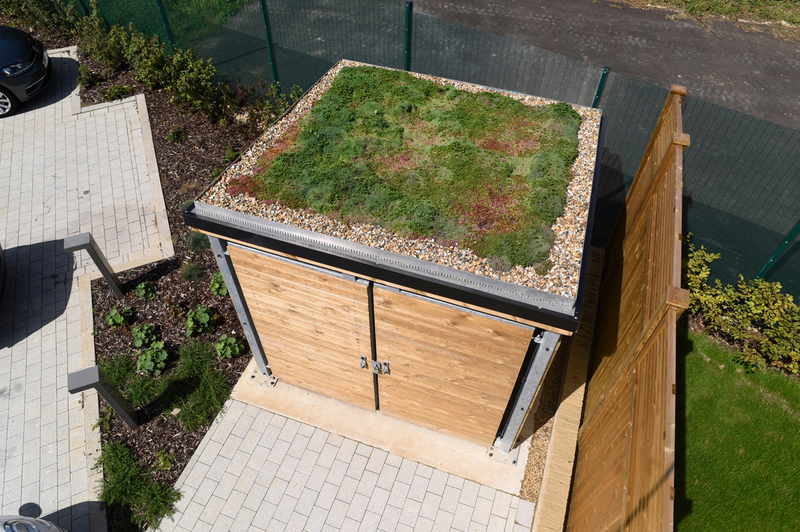 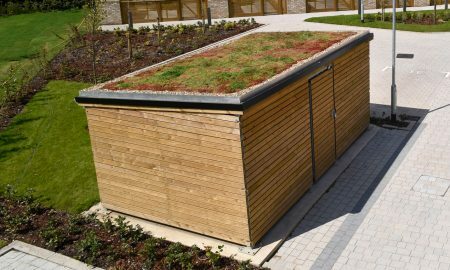 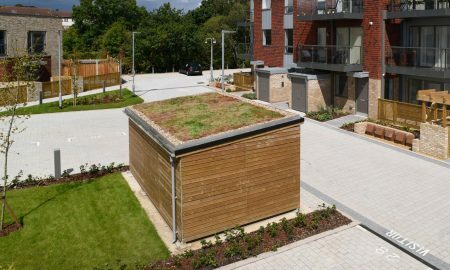 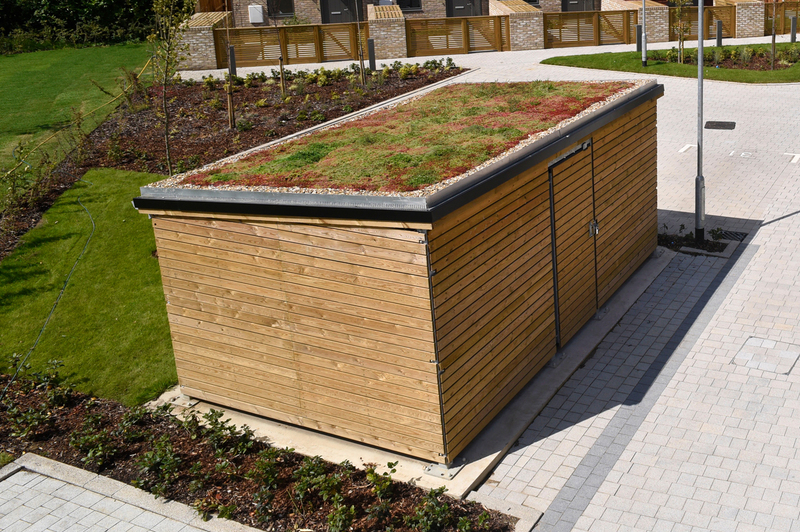 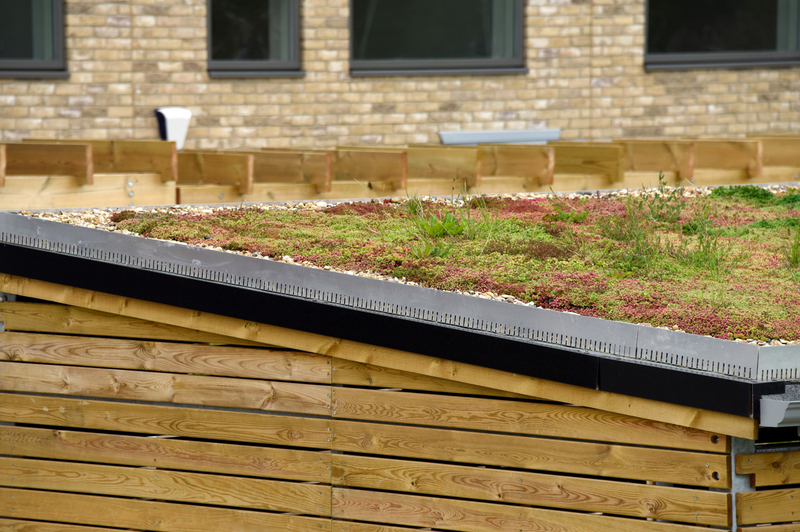 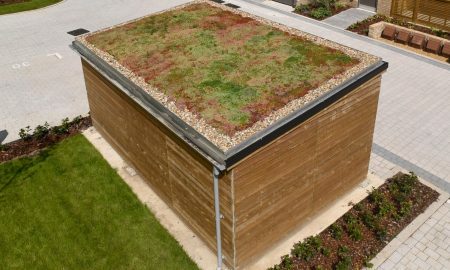 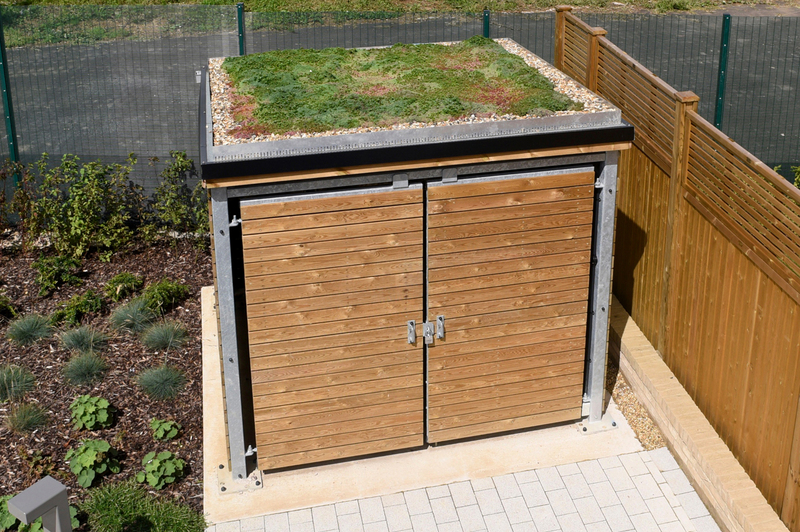 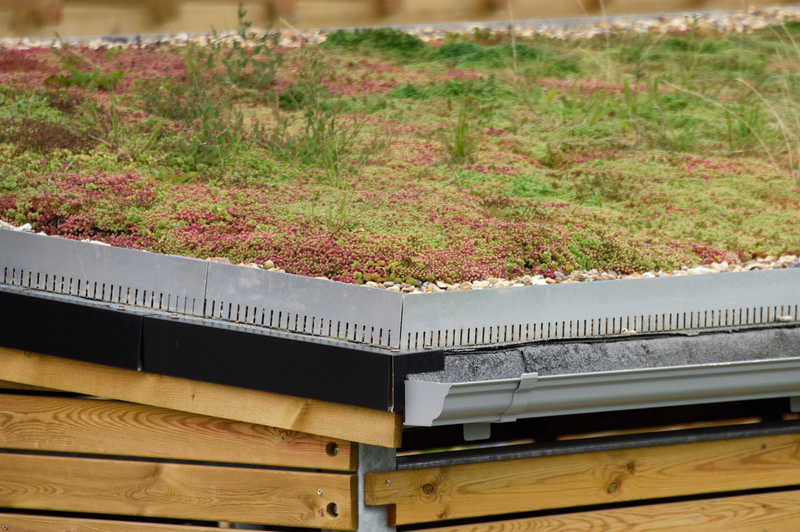 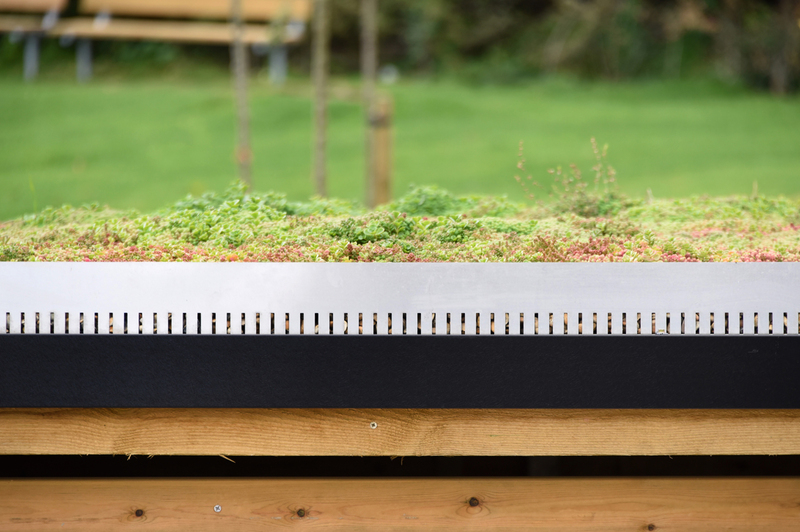 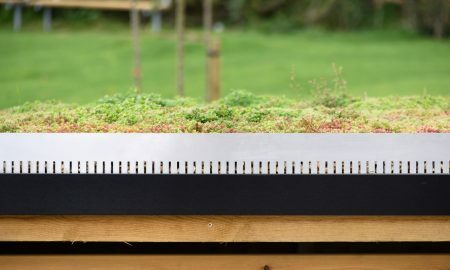 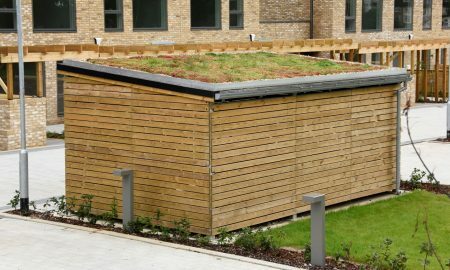 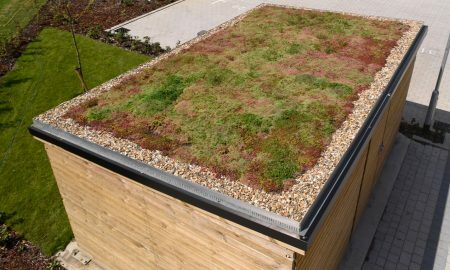 The construction of the Blox allows integration of a sedum roof where necessary via a tray system which is incorporated directly to the shelter roof. 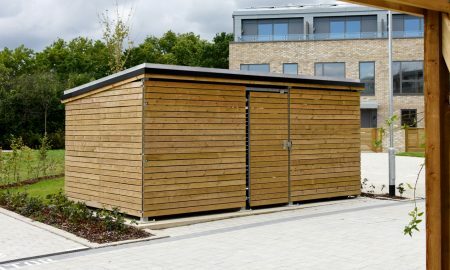 The Blox has a galvanized frame structure whilst the FSC Certified pressure treated softwood vertical timber cladding offers strength as well as a ‘natural’ look. 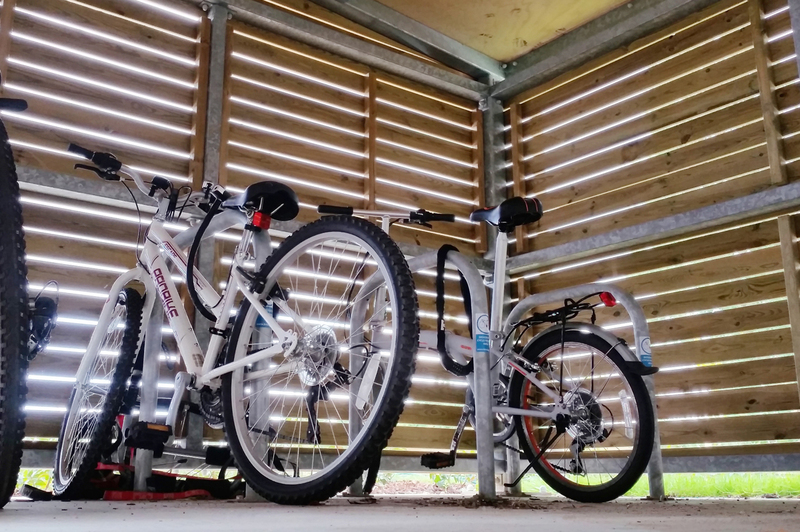 A timber clad steel door complete with hasp and staple lock (other mechanisms are available) offers extra security whilst users can secure their cycles inside the shelter via Sheffield Stands (other forms of stands and racks are available such as the two tier Hi-Rise System or Neath Racks). 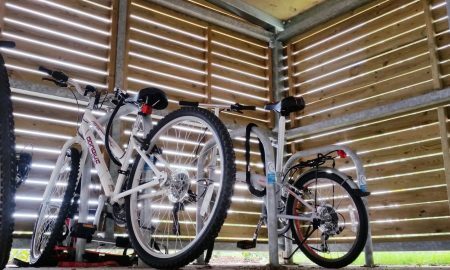 Lighting was also incorporated into the shelters for users during poor weather and hours of darkness.